(Pyongyang, DPRK) North Korean leaderKim Jong-un is said to have canceled all his scheduled business to study video footage of Nancy Pelosi in an attempt to increase his sarcasm energy before meeting President Trump in Vietnam later this month. Though he normally maintains an aura of infallibility as “Dear Leader,” Kim readily conceded there was much to be gleaned from Pelosi’s advanced techniques of throwing shade. Kim knows he is not very accomplished in the finer arts of putting others down. At last word, Kim was reported to be clapping at himself walrus style in a mirror. 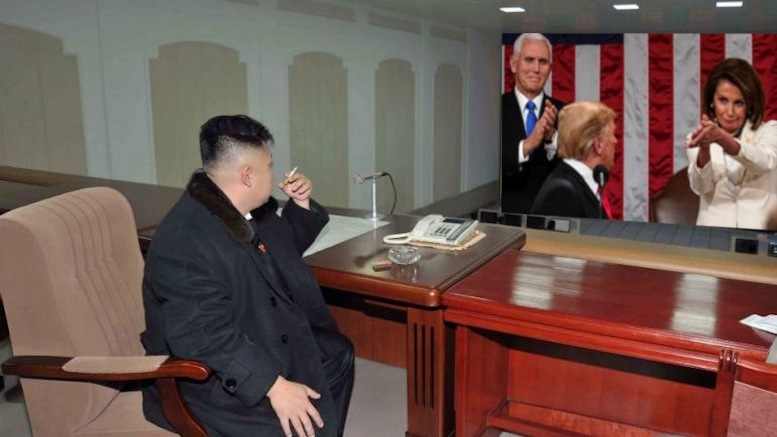 Be the first to comment on "Kim Jong-un Studying Nancy Pelosi To Increase Sarcasm Energy Before Meeting Trump"